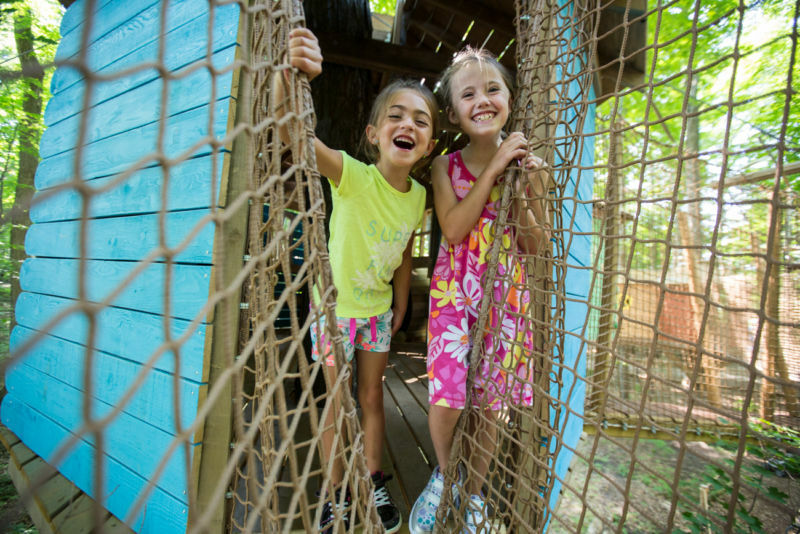 Children and the young at heart can let their imaginations lead the way while exploring our tree house village at Bruce’s Mill C.A. 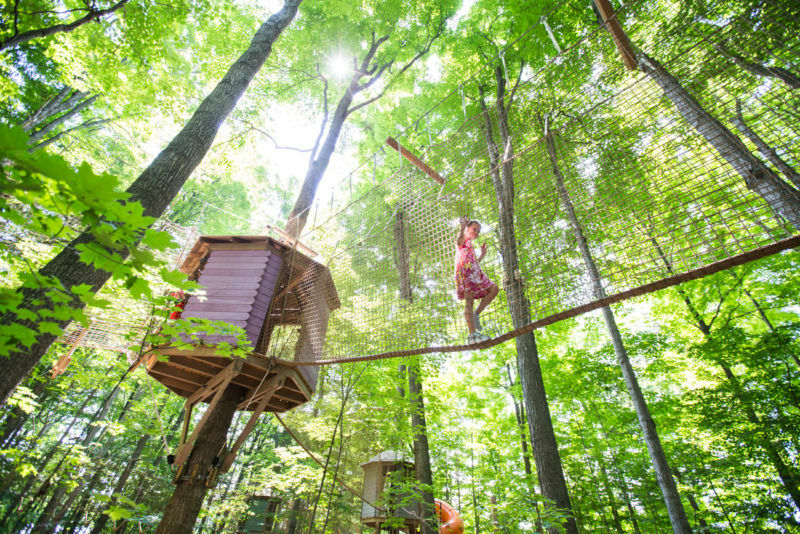 in Stouffville, only 20 minutes from Toronto. 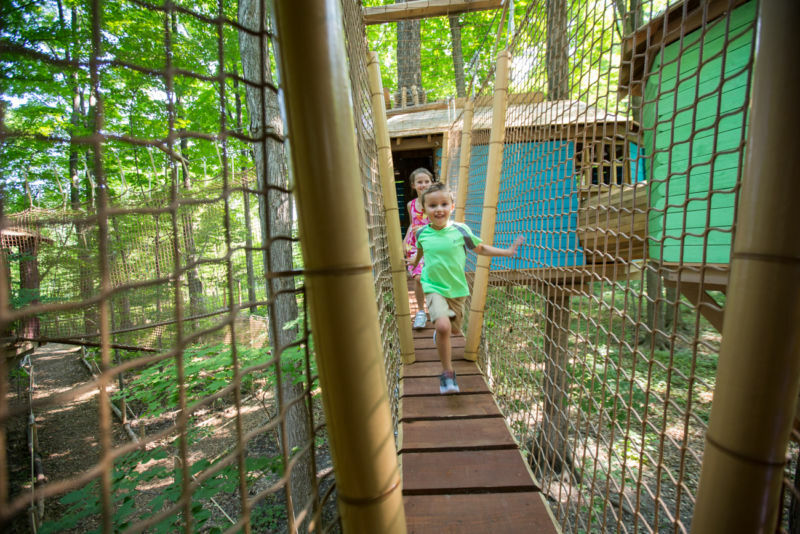 Climb from treehouse to treehouse through enclosed hammock nets and wood bridges! 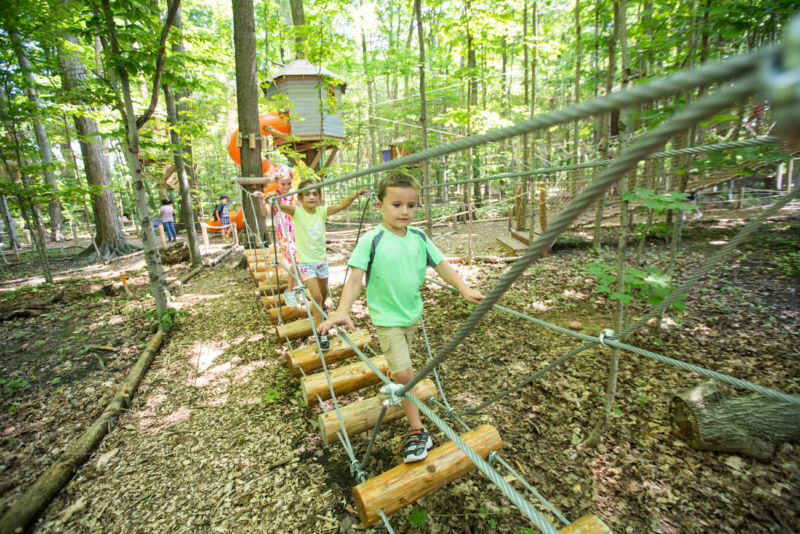 Descend to the ground on slides, crawl through a network of tunnels, try the mini ziplines & rockwall, and play on our TreeWee obstacle course! 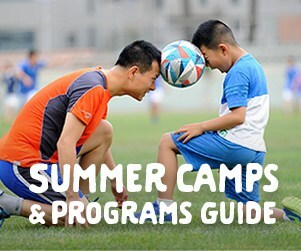 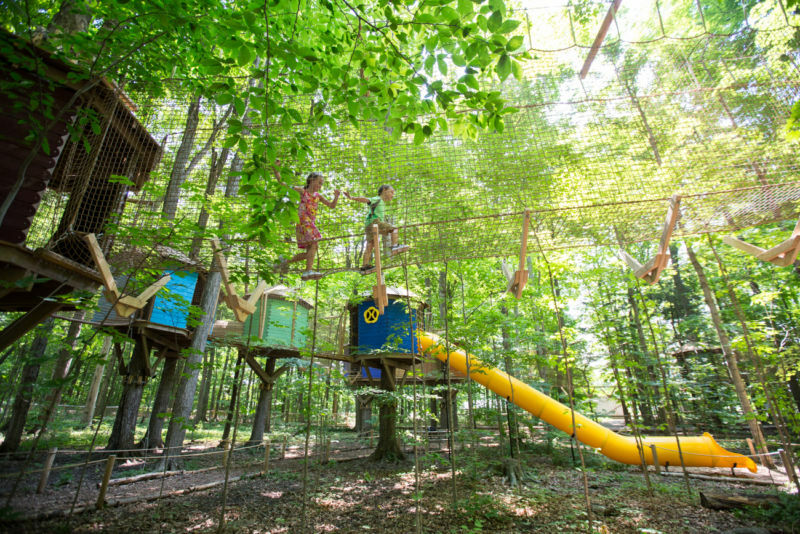 Open to all ages, but ideal for ages 3-7. 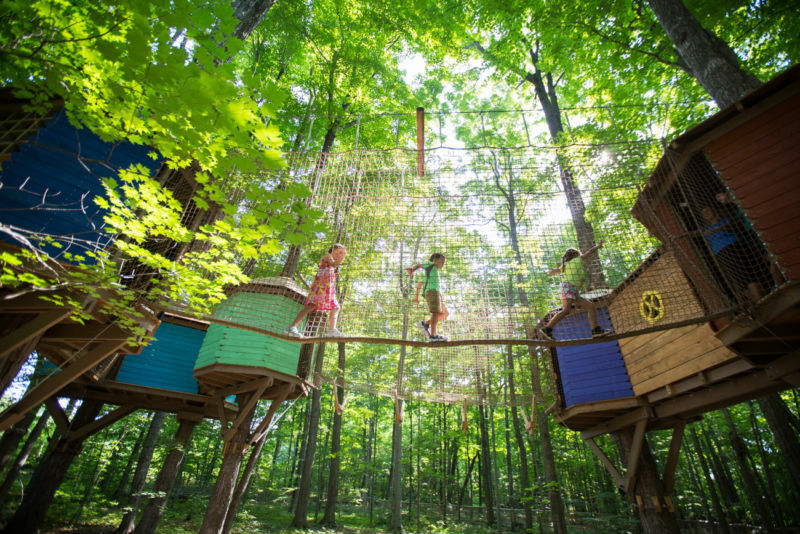 Older kids will love our Treetop Trekking park.